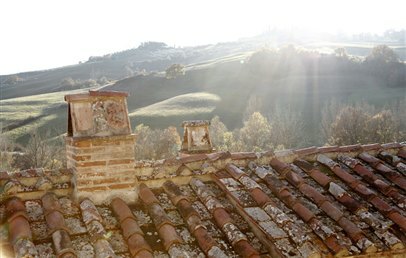 Follonico 4 Suites is located in one of the most charming valleys in Southern Tuscany, Montefollonico. 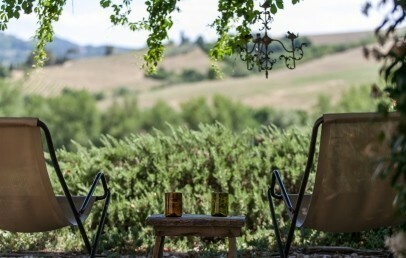 Set away from the main, crowded tourist routes, the valley and the small village where the Hotel stands are a haven of tranquillity and relaxation, where time still flows at the unhurried pace of country life and nature's seasons. 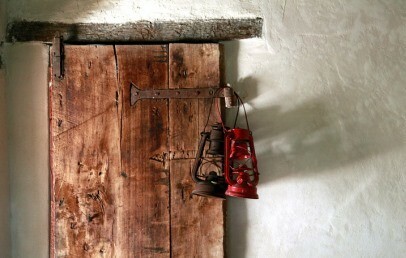 The whole area is dotted with delightful sights: tiny hamlets, country paths, verdant landscapes, monasteries and abbeys. To help our guests find their way to the not-to be missed sites in the area, including San'Antimo, Montichiello, Lucignano d'Asso and the Crete Senesi, we provide them with a pre-programmed GPS navigator. 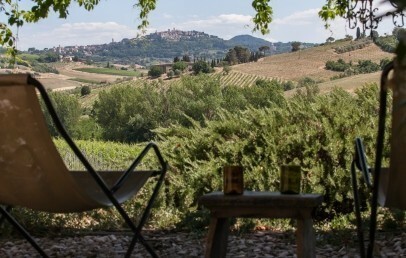 Housed in a lovingly refurbished old farmhouse, Follonico 4 Suites is a charming B&B embodying a green approach to tourism preserving the value of country and farming life. Follonico shares its "slow-tourism" philosophy with its guests, encouraging them to savour their holiday experience with all five senses. Follonico 4 Suites has an intimate atmosphere, with just six rooms, an honesty bar and many indoor and outdoor common spaces, including a salt water swimming pool (pool towels are available free of charge). Children aged 14 and above are welcome in the hotel. 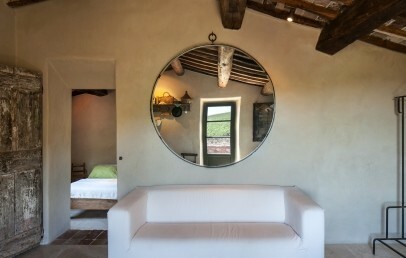 Each one of a kind, the four suites and two rooms of the B&B couple the artisanal quality of Busatti linen, complimentary courtesy set of Biofficina Toscana and with the latest technology (complimentary internet, independent temperature control, iPhone/iPod docking station). 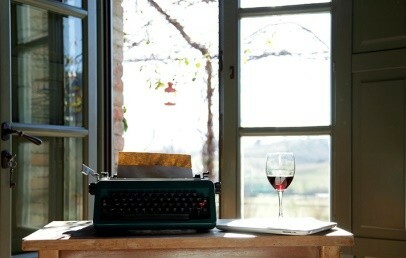 Montefollonico and Montepulciano room (24 sq.m.) – located in the annex next to the main building, the two double rooms have original, tasteful furnishings and décor, ensuite bathroom with raindance shower. 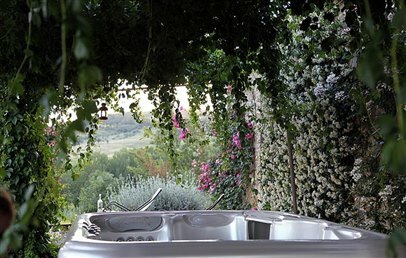 Terrace with panoramic view, one room with whirlpool on the terrace. 'Rosso Tramonto' Suite (37 sq.m.) – an open-space loft comprising double room with sofa, bathroom with Raindance shower, three large windows and view over the countryside. 'Verde Intenso' Suite (40 sq.m.) – on the first floor, it is laid out on different levels and comprises a double room, a separate living room and bathroom with raindance shower. It faces South-east. 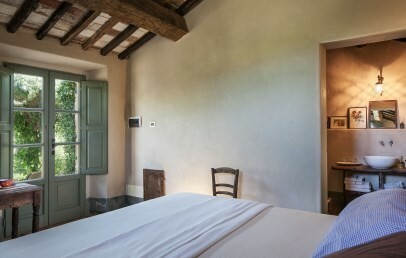 'Alba Chiara' Suite (43 sq.m.) – located on the ground floor, it comprise a double room, a separate living room and bathroom with raindance shower. 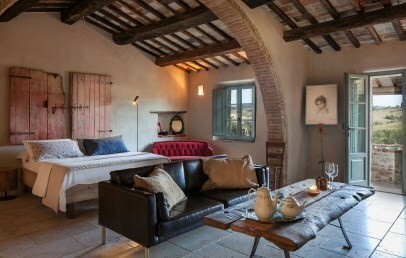 The Alba Chiara Suite enjoys a splendid view of the vineyards and the ancient walls of Montepulciano. It faces East. 'Blu Notte' Suite (48 sq.m.) – located on the first floor, it has independent entrance. 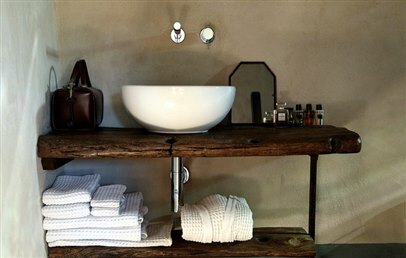 It comprises a double room, living corner, bathroom with raindance shower and panoramic veranda. It faces South. Follonico 4 Suites offers its guest a rich organic locally-sourced breakfast. More than 90% of ingredients are organic and produced on the farm. The rest comes from within a radius of 30 km from Follonico. In the common area guests can use complimentary the tea facilities and coffee machine "Illy". Guests staying in the suites, have the possibility to book a massage in the room (needs a reservation in advance, cost of € 90). Partnering up with selected local producers, Follonico 4 Suites arranges tastings of wine, local specialties and cheese, as well as many other food experiences. Guests can also book horseback excursions and small tours in a vintage Fiat 500. The staff is on hand to personalise every aspect of your holiday and will be happy to draw you into the slow&chic philosophy of Follonico 4 Suites. Tourist tax of € 1.00 per person/overnight, valid for all guests from 12 years and has to be paid on-site in cash. Room located in the annex building and fully independent. 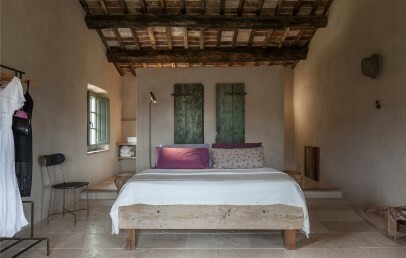 It has an original country-style bed, 100% pure linen bed sheets, antique doors, floor lighting and natural limewash walls. It comprises a double room (16 sq.m.) and ensuite bathroom (8 sq.m.) with raindance shower (170x100cm), hair dryer and courtesy set. It opens onto a panoramic terrace equipped with hydromassage hot tub for two. Intimate, enchanting open-space loft comprising double room (25 sq.m.) and bathroom (12 sq.m.) with raindance shower (120x100cm), hair dryer and courtesy set. Three picture windows and the entry door fill the Suite with natural light and give it a beautiful view over the countryside. 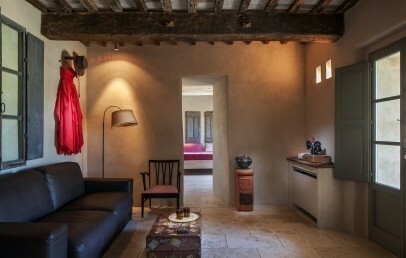 The 'Verde Intenso' Suite is located on the first floor and is accessed by a small private balcony. It comprises double room (18 sq.m. ), a separate living room (16 sq.m.) and bathroom with raindance shower (150x100 cm), hair dryer and courtesy set. The suite faces East and South. 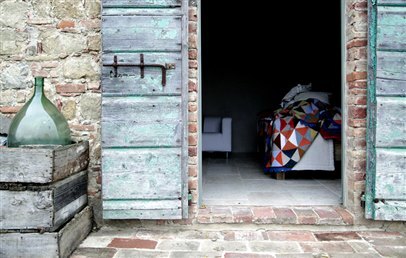 The 'Alba Chiara' suite is located on the ground floor and has independent access through the garden. It comprises double room (20 sq.m. ), a separate living room (16 sq.m.) and bathroom with raindance shower (150x100 cm), hair dryer and courtesy set. 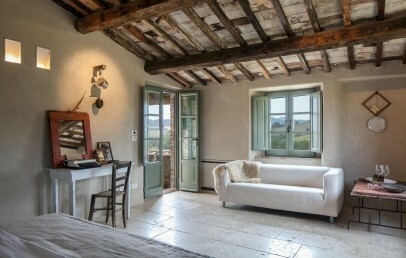 The Alba Chiara Suite enjoys a splendid view over the vineyards and the ancient walls of Montepulciano. Located on the first floor, the 'Blu Notte' suite is the largest in the facility. 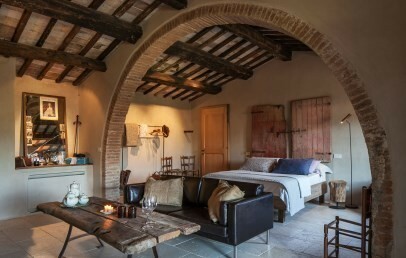 The open space, with a wide arch and a romantic open fire, comprises double room, living area and bathroom with raindance shower (120x100 cm), hair dryer and courtesy set. 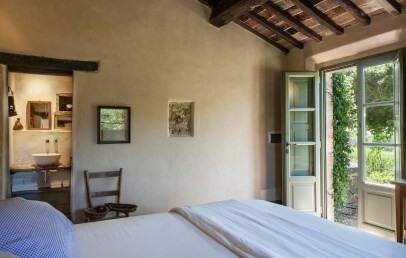 The 'Blu Notte' Suite is accessible via a staircase through a panoramic verandah, has a balcony looking out over the church of San Biagio in the south and the ancient walls of Montefollonico to the west. Room located in the annex building and fully independent. 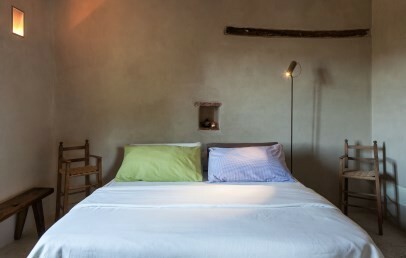 It has an original country-style bed, 100% pure linen bed sheets, antique doors, floor lighting and natural limewash walls. 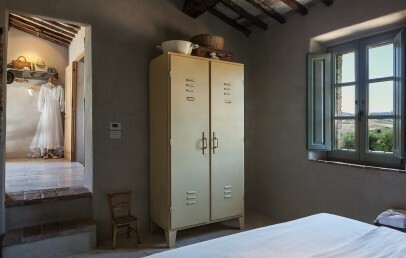 It comprises a double room (16 sqm) and ensuite bathroom (8 sq.m.) with Raindance shower (170x100cm), hair-dryer and courtesy set. It opens onto a terrace with panoramic view. Book your SUITE at the lowest available rate. Follonico reserves the right to welcome you in SUITE, different from the one you chose, depending on the availability upon arrival. Non Refundable Rate.